May you be continually nourished and enveloped by love and laughter, beloved family, true friendship and abundantly good health. Let this year bring you closer to your goals and further from the beliefs and behaviors that have you making the same resolutions yielding the same unsuccessful results. I know how that feels. 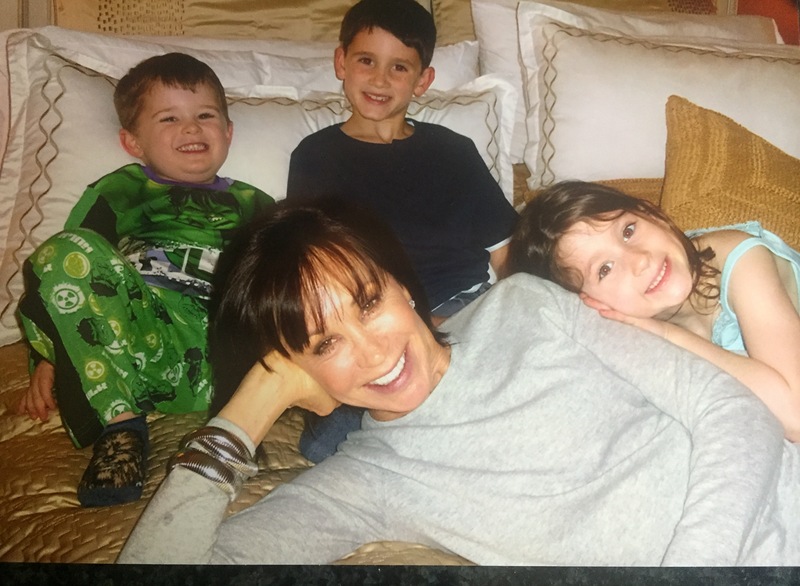 For most of my young adult and later years, I started every New Year resolved to change my body. It recently dawned on me that I have spent most of my adult life either trying to take weight off or put weight on. Taking time to relish where I was never dawned on me. I will never have that time back — those minutes, hours and days. 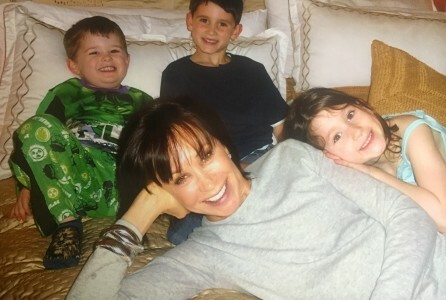 My life experience combined with my extensive training convinced me it doesn’t have to be this way and I will forever resolve to remain both present and a strong presence in the lives of those I hold dear, as illustrated in this picture of me and three of my grandchildren. 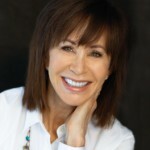 As an eating psychology coach, my role is to guide you to positive empowerment, to help you connect with a mind/body approach to what fully and truly nourishes you, to honor your hunger for food and appetite for life. In other words, to explore and define who you are as an eater as well as a willing participant in this journey we call life. What follows are five intentions that will strategically help ensure that your efforts bring you success rather than the same old results that have you frustrated, deprived and defeated by month’s end. 1) Let go of the control. Do you have the need to control your appetite, food intake, fat, carbs and pleasure in your diet? Are your control tactics still resulting in binge eating, over eating, thinking about food all the time? My professional and personal experience tells me control is anything but effective for the long-run. What it brings to the table is a generous serving of self-abuse that has you attacking your body rather than honoring it. Instead, accept that letting go of control doesn’t mean being reckless. It means embracing empowered choice and relaxing into the flow of your body’s wisdom. Control is a product of fear-based living. Let go of the fear and watch the path reveal itself; we learn the way on the way. 2) Start each day with gratitude, even if you are not feeling very grateful at the moment for your situation or even the body you have. Accept that everything you have experienced, every high, low and in-between has led to this moment. In this moment you get to take the action necessary to explore the life you are meant to live. Know you are right where you need to be. Find gratitude for the journey unfolding that is perfect for you. 3) Stop looking to the mainstream media for your nutrition information. It appears that every week there is a new study making headlines, a new diet craze to jump on or a new celebrity turned lifestyle guru selling a plan that has you pining for a body type you may never be able to achieve. This type of hype is part of the reason for the confusion and fear that has you stuck in dietary beliefs and myths that do nothing to nourish. Instead, ask the question, “What does my body want?” Know that all this information, many of it contradictory, only serves to keep you stuck in those negative thoughts about what you should or shouldn’t be eating. The reality is that it’s the body that gives the signals. Include yours in the conversation. 4) Know the difference between self-kindness and self-indulgence. Show loving kindness to yourself by eating when you are hungry and stopping when you are full. Find pleasure and satisfaction in your food choices, knowing your choices are healthful for your body. Self-indulgence in an effort not to feel deprived only serves to deprive you from true and complete nourishment and ultimately from discovering the best version of yourself. 5) Today is the day to reclaim your natural instinct. Perhaps the instinct for what and how nourished your body was never developed or was thwarted by disordered messages. Take a good look at those messages and reframe them for the here and now. Reframing, reinventing and rejoicing is indeed the 50 Plus Life.